The FICE will become a platform where traders from all over the world will be able to show their professionalism and, with the help of the unique rating system based on the blockchain (TRUST), will be able not only to trade, but also enable thousands of other users to connect to their trading signals and receive good rewards from each user connected, earn on their trading activity and trade without commissions. The FICE is a great opportunity for a trader to find investors in the wealthy countries such as Saudi Arabia, United Arab Emirates, Kuwait and etc. Blockchain Ratings is a unique feature that will be used on the FICE exchange. Each user will have a personal rating that will vary depending on the results of his trade. Ratings can be published and monetized. The key to successful trading is a blockchain rating, a unique passive trading system that will be available to the FICE users. Thereby, people who were considering crypto asset market as not clear and risky market will be able to start trading. The FICE Exchange will have unique interfaces for convenient and fast trading; provide useful functions for traders to make their work easier and comfortable. A special service will be provided for quick exchange and purchase. The richest and numerous Muslim countries are the main markets for the company. The crypto market needs new users and new investments and Islamic countries are a great opportunity to find a new foothold. Islamic finance is growing at 12% per year and amounts to almost $ 3 trillion, and the population of Muslims is over 1.8 billion people. Muslims need financial products and services that comply with the norms of Islam. Islam regulates all aspects of people’s lives, including financial and economic. While the services of conventional financial institutions are not suitable for Muslims, the users of Islamic finance can be the people of different faiths and nationalities. Islamic finance is suitable for everyone. The more new users join the crypto market, the more investment and demand is for cryptocurrency, which directly affects the rise in the value of crypto assets and the total market capitalization. Buyback of tokens at a price not lower than the nominal value (prices for IEO). Every month, a company will spend 10% of its revenue (but not more than 25% of its profits) to the purchase of tokens and their immediate burning. This is how the token deflation model is implemented. With the growth of trading volumes and number of users, the volume of Adab tokens will be systematically reduced. The purchase of tokens will be at a market price, but not lower than $0.1. 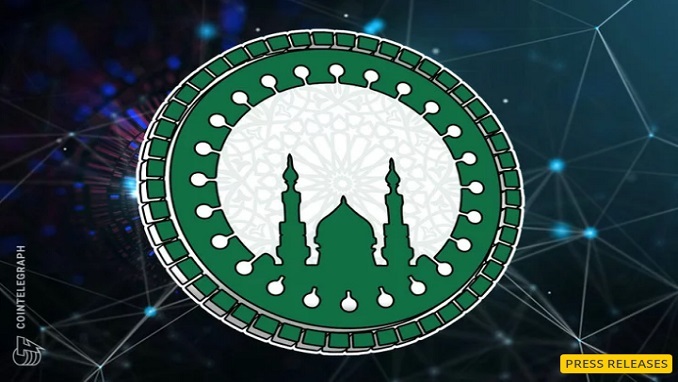 Token Adab will be used to receive discounts on the FICE exchange commission, pay donations to the ADAB Charity, serve as a payment instrument in the Adab Project, in a token deflation economy, in a purchase of tokens not lower than the nominal price, in the listing on other exchanges. The company will look for additional tools of the use of token ADAB. FICE Exchange with its own Shariah Advisory Board is a place where everyone can trade on a fair and transparent base, which pays a great attention to the requirements of the regulator and also requirements of the Shariah Advisory Board. Adab Charity – where ADAB Solutions will transfer 7.5% of its profits, fulfills the sacred duty of Muslims to pay Zakat, and everyone can make their contributions to the fund, which will be functioning in accordance with the Shariah norms. Adab Project – a platform for launching halal ICOs. This is a place where you can run any project that complies with the principles of Islamic finance. Adabcrypto is an information portal dedicated to the topic of Islamic finance in the crypto world. It will be publishing company research, reports and reviews of crypto assets from the Shariah Advisory Board. Adab Solutions successfully completed fundraising on a private sales stage ($4.5m attracted) and invites everyone to participate in a unique project with a great financial potential.